I could not believe IUI #3 didn’t work. I just knew the 3rd time would be the charm. Well it’s on to the next one. I moved on to IUI #4 in a big way. By big way I mean stabbing myself in the stomach big. 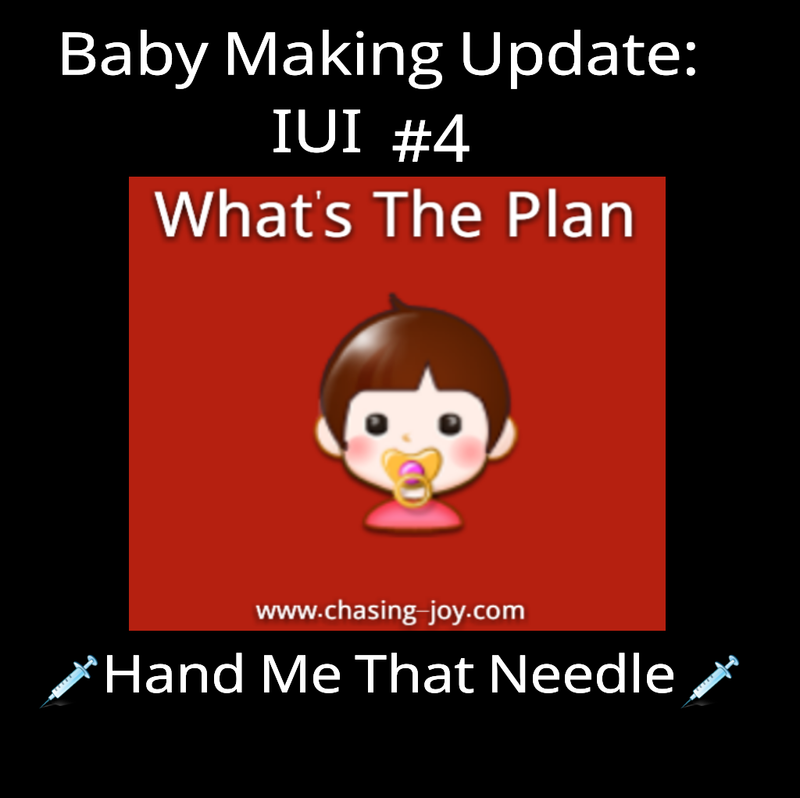 OMG check out the video for all the details of my plan for IUI #4 including medication, monitoring and giving myself a shot of Ovidrel. Tell me about your experiences giving yourself or someone else a needle. For anyone trying or having tried to conceive what was your experience like if you used Clomid, an Ovidrel Trigger Shot, or similar medications? Hi Arlett! I have never given anyone a needle, but I am so excited that you are doing what you need to do! Blessings on this journey!